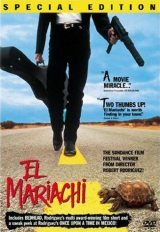 Difference between revisions of "El Mariachi DVD"
* Desperado: Commentary; 10 more minutes featurette; Trailer. El Mariachi: Commentary; Bedhead; 10min filmschool; Trailer. Desperado: Commentary; 10 more minutes featurette; Trailer. This page was last edited on 6 December 2017, at 20:01.